Welcome to Design Cast Products. 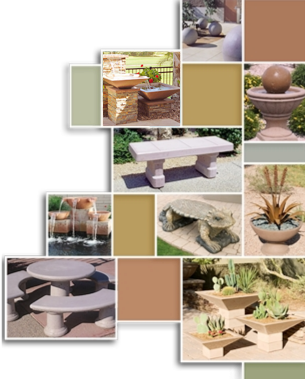 Since our start in North Phoenix nearly 20 years ago we have manufactured the Design Cast line of precast site furnishings and landscape accessories. Along the way relationships have been developed with many of the most respected manufacturers & artisans in the industry. We pride ourselves in the variety of products we carry from local, national, and international artisans and suppliers. Statewide & Nationwide delivery options are also available.